The 2015 climate summit in Paris was one of the most important recent events to determine the direction of energy policies, and thus it was an opportunity for many activist and ecological groups to intensify their efforts. 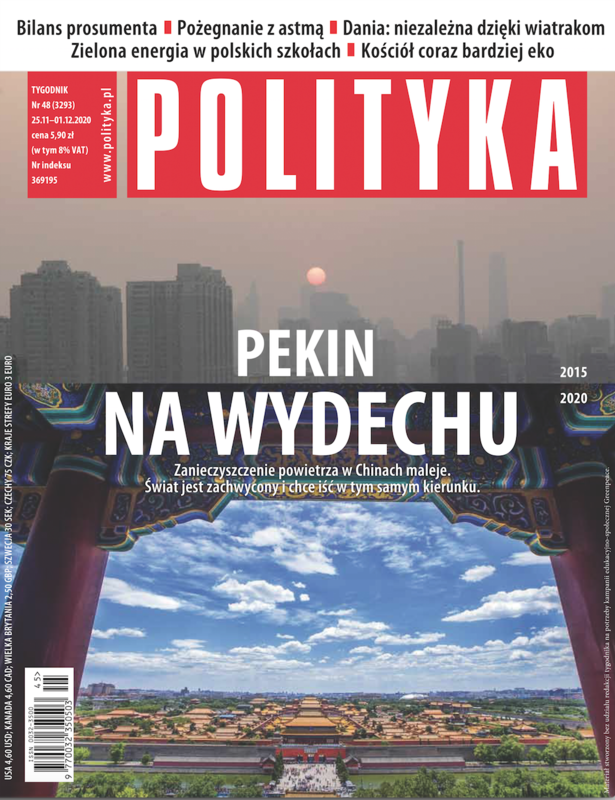 Greenpeace Poland tapped into the near future – the year 2020 – and presented the potential situation of Poland in a series of fictional weekly magazine covers. Adopting an optimistic view for a revolutionary turn toward renewable sources of energy, it reported the upcoming changes from the point of view of conservative and liberal groups issuing comments for their associated publications. The hacked covers (and other materials for the campaign) were created without the participation of the real magazines’ editorial teams; however, efforts were made to be as faithful as possible to the style and aesthetic quality of the weeklies, which involved mimicking the poor visuals and biased tone of the articles. The covers were disseminated in public spaces as a commentary on the lack of purposeful steps toward the postulated revolution. The project was an example of using artistic competence to predict potential change, while still referencing the patterns of communication typical of respective readership groups. The report presented in exhibition consists of five copies of magazine covers provided to the Museum of Modern Art in Warsaw for the duration of exhibition. Graphic design: Marianna Wybieralska; Texts: Katarzyna Guzek, Maciej Hacaga, Izabela Urbańska, Weronika Wertelecka, Marta Widła. Courtesy Greenpeace Poland.